can anyone identify this poppy? Hello -- I've been trying to identify this poppy online, but have not found any pictures that match it yet. It comes back every year, and seems to be increasing. Thanks for your help! I think you will find it is Papaver Oriental 'Princess Victoria Louise'. 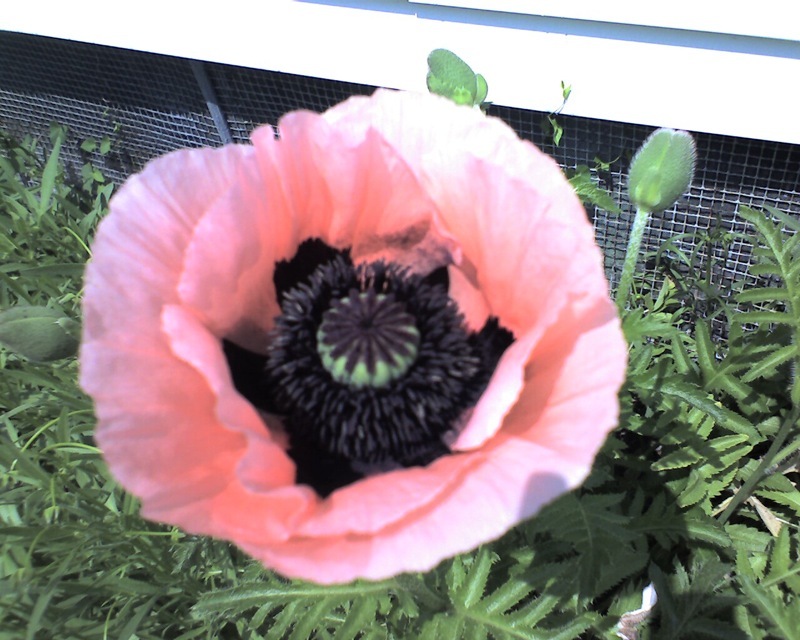 Jess wrote: I think you will find it is Papaver Oriental 'Princess Victoria Louise'. Aha, yes, that's it! Thank you so much. The reason I was trying to find out was because someone suggested that OPIUM poppies had been planted without my knowledge in my garden! But I'm so glad to know they're not, and there's no danger of the police coming through and uprooting them! You are very welcome and I am glad I saved you pulling them out! Do I break open the pods and then just scatter the seeds on the dirt that I put in each cup? How early should I start these? When can I transplant them outside? (I live in Salem, Massachusetts). Thank you so much for your help! I usually scatter the seed as it develops where I want it to grow but you can sow in pots on the top of the compost as they need light to germinate. The easiest way is to break open the pods and collect the seed in a container and then sprinkle thinly on top. I do not know your zone so plant outside as the soil warms up. Here that would be March/April. Thin out as they grow. Thank you, I think I will do as you describe -- scatter the seeds when I know where the empty spots will be, after the daffodils and tulips have started to come up. In the meantime, I'll break the pods and put the seeds in envelopes. need help identifying "poppy imitator"